Want to run VR on a new iMac? Get ready to spend big money on an external GPU with a Thunderbolt connection. The new Macs that Apple unveiled Monday bring welcome upgrades to Intel’s latest Kaby Lake processors. However, if you want to use the latest Apple computers for virtual reality, you’ll need to add an external graphics card in a pricey Thunderbolt 3 enclosure. It’s yet another problem “solved” by Thunderbolt connectivity, but the do-it-all USB-C connector Apple is forcing down our throats isn’t the answer to everything. Thunderbolt 3 is certainly a wonderfully versatile connectivity standard. A single cable can transfer four times the data of USB 3.1 at 40Gbps, twice the video bandwidth, and up to 100 watts of power to go with it. It’s so speedy, it can transfer a feature-length 4K movie in as little as 30 seconds. It can drive two super-sharp 4K displays at 60Hz. Thunderbolt 3 can also be daisy-chained so that up to six devices can share one port. It can connect a desktop graphics card to your notebook. It’s by far the best connectivity standard there is today. Apple is relying on Thunderbolt to make our Macs more powerful for things like virtual reality — and when you’re talking about notebooks, it’s an ideal way to get the job done. But when it comes to desktops, upgrades over Thunderbolt are a flawed solution to a fundamental problem. When creative professionals, video producers and other power users spend thousands of dollars on a desktop, they need flexibility. They need to be able to add more storage as it’s needed, and additional RAM as newer applications demand it. Pros also need reliability. They need to be able to replace individual components at an affordable price when they fail out of warranty, not spend another $5,000 on a brand new desktop because the graphics chip is soldered to the logic board. There was a time when the Mac Pro met these demands. It was a true desktop computer, and its components were replaceable and upgradeable. It was almost as flexible as a Windows PC, with the ability to upgrade the CPU, RAM, storage and even video cards with ease. The current Mac Pro doesn’t offer this. With crucial components soldered to the logic board, the power you get the day you buy the machine is the power you’ll live with for as long as you keep it. And if anything fails out of warranty, good luck getting it repaired on the cheap. We’ve come to expect this from notebooks, but not desktop PCs. Especially not when those desktop PCs cost thousands of dollars. 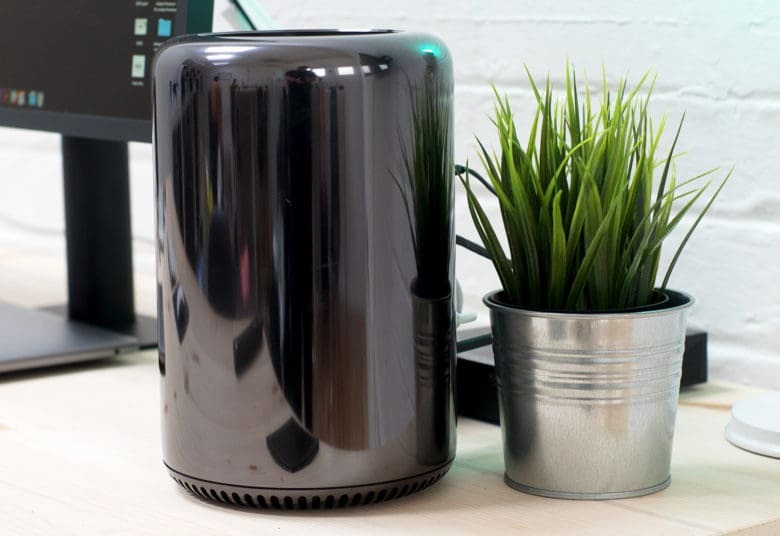 Apple already admitted it made a mistake with the most recent Mac Pro. Not giving power users the option to upgrade their machines forced many to switch to Windows. Some even cobbled together Hackintosh machines — custom-built PCs that run macOS. The upcoming “badass” iMac Pro doesn’t solve this problem, either. Just like every other iMac, its crucial components will come permanently fixed in place. It might be possible to upgrade the storage, but good luck with that; the only way to get into an iMac is by removing its display. 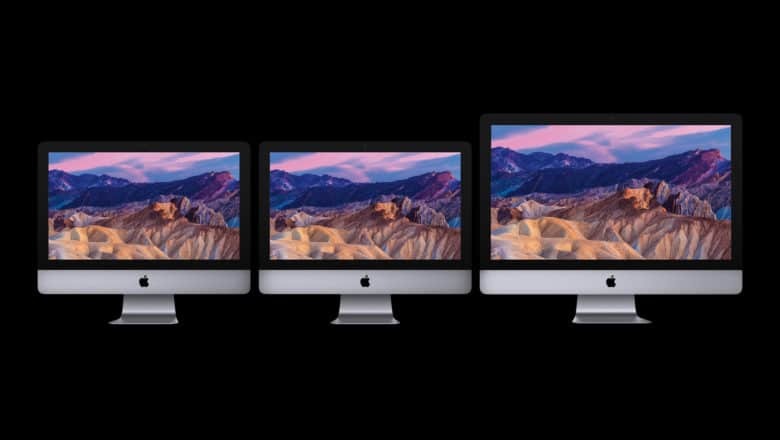 Fortunately, the iMac Pro looks insanely powerful, so you won’t need to upgrade any of its components for some time. But it starts at a whopping $4,999 — most will spend more than that — and there’s no way to speed it up later on. Certain “upgrades” do work well over Thunderbolt, such as adding additional storage (the easiest and most affordable one). You can also add a new dedicated video card — as I mentioned earlier — but that’s going to cost you. To add NVIDIA’s high-end GTX 1080 Ti card to a Mac, you would first need to obtain the card itself. You can currently bag one for $669.99 on Amazon. You then need a Thunderbolt enclosure, like the Razer Core, which costs $499.99. That’s almost $1,200 in total. To add the same card to a traditional desktop (a Windows PC), you only need to pay $669.99 for the GPU itself. And of course, in almost all cases, the PC would have been a lot cheaper to buy or build in the first place. Furthermore, it’s easier to get the most out of that pricey graphics card on a PC. If you find your processor or RAM becomes a bottleneck that holds that GTX 1080 Ti back, you can just upgrade them when you have the cash. You don’t get that option with a Mac. For those who need the portability of a MacBook Pro, but want to get their game on in their spare time, Thunderbolt upgrades are great. They make notebook computers more powerful than ever before. But if you’re spending $5,000 on a beefy desktop because you need power all the time, then you should get the flexibility to easily update it yourself when it’s no longer powerful enough. You shouldn’t be stuck with an outdated machine just three years later. What makes this problem even more frustrating now is that Apple is finally embracing virtual and augmented reality. The company announced new technologies Monday during its Worldwide Developers Conference keynote, like Metal 2 and ARKit, that will finally make the Mac great for gaming. Even Valve’s SteamVR platform is now on macOS. But gamers don’t buy computers they can’t upgrade. I ditched my Mac for a custom-built Windows PC because I wanted a high-end gaming experience, and the ability to switch my components — not my entire desktop — as new games demanded more power. Maybe Apple’s next-generation modular Mac Pro will change all this. Maybe it will return to its roots with a traditional desktop design that makes upgrades and repairs super-simple. But I’m not holding out too much hope.